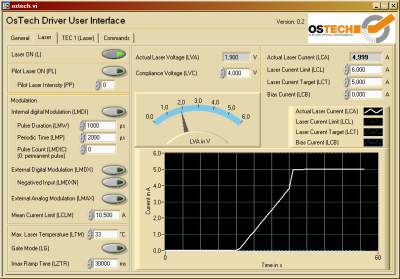 We provide a LabVIEW™ user interface for OsTech drivers as free software. 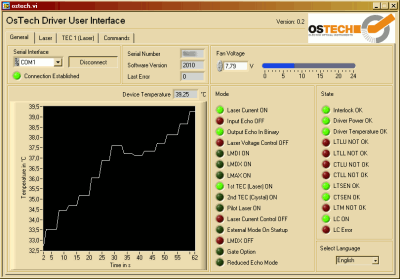 In order to use it you need LabVIEW™ version 7.1 or later and NI-VISA™ for the communication over the serial interface. 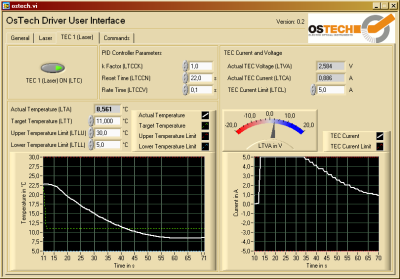 There is also an executable version of the software that can be used without LabVIEW™. The required runtime libraries are included. LabVIEW™ is a registered trademark of National Instruments Corporation.